Run in America! 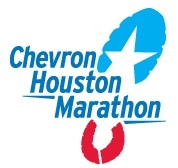 : Houston Marathon - 11-minute P.R. and B.Q.!!! Houston Marathon - 11-minute P.R. and B.Q.!!! I qualified for the Boston marathon on this race by running 3:32:17!!! This SMASHED MY PRIOR P.R. BY 11-MINUTES!! I thank my support team (wife, daughter, friends) for supplying me much-needed eGels, Succeed Electrolyte Caps and water at miles 4, 16, 18, 22 and 25!! Factoid - Between mile 18.6 and the finish I passed 177 runners, and only 9 passed me!! This confirms my intuition, but it is great to see the numbers.